At Rio Roses, we are more than just co-workers – we consider ourselves a family. Our company’s spirit is the basis of our corporate culture. We drive excellence through continual improvement. R. Victor Giorgini is currently a Shareholder, President and CEO of Equiflor (Rio Roses). He is originally from Argentina and studied international business management at Florida International University in Miami. 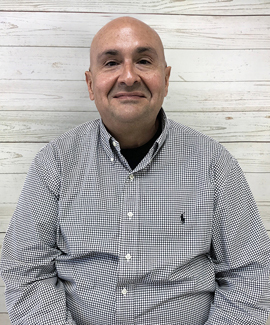 In 1980, Mr. Giorgini began his career in the floral industry working for Southern Rainbow where he was responsible for managing farm relations, production planning, quality assurance and operations. In 1991, he joined Equiflor as senior vice president of farm sourcing and quality assurance. He has been instrumental in developing all Equiflor branded products (Rio Roses) and is responsible for the company’s strict quality specifications and guidelines. 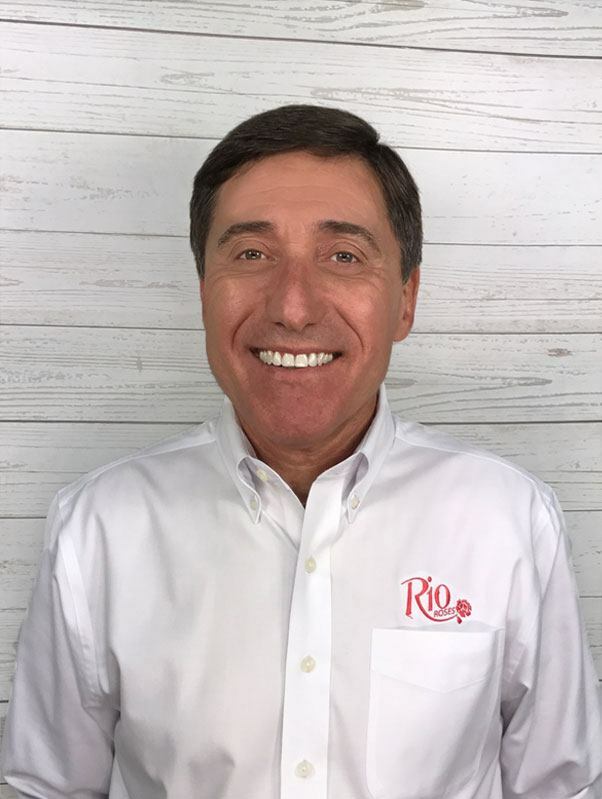 R. Victor Giorgini is currently a board member and served as President of the board of directors of the Association of Floral Importers of Florida (AFIF). He is a member of the Business Anti-Smuggling Coalition (BASC) and also serves as a board member pro bono for two local charter schools that serve underprivileged children. Mr. Giorgini’s leisure time is dedicated to his family. Raul Marrero is currently the Sr. Vice President of Equiflor (Rio Roses). He is originally from Chicago and studied business at the University of Illinois. He also attended the Darden Business School in Virginia and Miami Dade College. Raul Marrero’s career in the floral industry began in 1980 with Southern Rainbow Corporation. 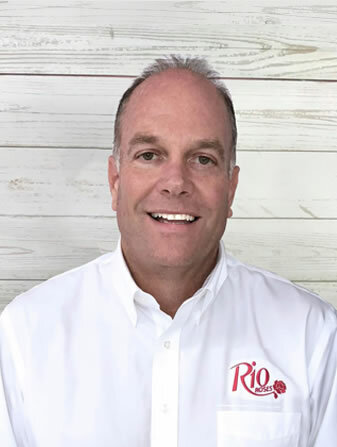 He joined Equiflor in 1991 as a shareholder and senior vice president of sales and marketing, developing and implementing the educational seminar called Rio Roses + Romance = Revenue. This initiative inspired Equiflor’s core mission to become an exceptional floral supplier while also providing education and marketing assistance to its many wholesale florist partners. Mr. Marrero has since presented his RRR shows to over 1,000 retail florists and hundreds of wholesale partners. In 2008, he transitioned to senior vice president of the entire company. Mr. Marrero has been married to the lovely Evelyn Marrero for 37 years and is father to Ryan and Eric. Oscar Fernandez is the graduate of the first manager training program at Rio in 1994. He started with Rio in the Sales Department, after studying business administration at Florida International University. Oscar also received a certification from the Dale Carnegie Sales and Human Relations Program and the Franklin Covey Project Management Program. 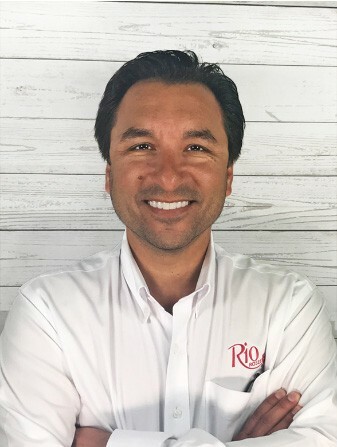 Oscar is currently the Sales Director at Rio Roses and is one of the main speakers for the Rio Roses+Romance=Revenue Show. 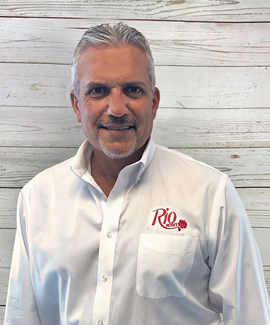 The RRR Show is a series of customized presentations Rio designed for its wholesale partners and retail florist shops throughout the United States presenting innovative sales, marketing, education and design trends. Oscar’s leisure time is spent with his lovely wife and 3 children. 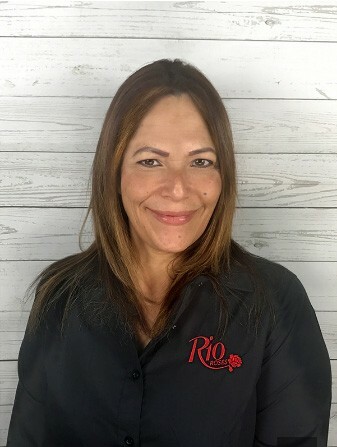 Susan Mesa has been with Rio Roses for 27 years and worked her way through the company with positions in Traffic, customer service and then sales. Susan studied at Miami-Dade College and majored in Business Administration. She also received a certificate from the Dale Carnegie Sales and Human Relations program, The Anthony Robbins Mastery Course, the FIU Emerging Leader Course and the Franklin Covey Project Management Course. 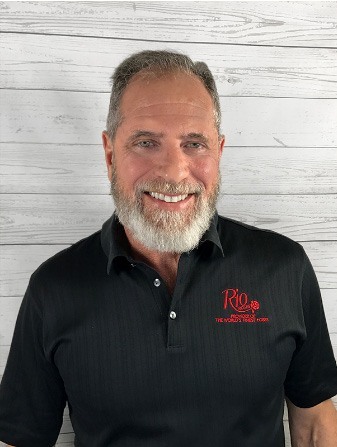 Along with Raul Marrero, Susan assisted in the development and creation of the Power Partner Program and is a speaker and trainer for the Rio Roses + Romance = Revenue Show which Rio provides to its wholesale partners and retail florists throughout the United States. Susan Mesa is currently the Vice President of New Business Development and leads the Kaizan Project for process improvement at Rio. Susan is married to her husband Ernesto and has two children, Priscilla and Christian. She also has a beautiful granddaughter Isabella. Jim Benson is currently the Sales Manager of Equiflor (Rio Roses). He is originally from New York and moved to Florida when he was 14 years old. Jim Benson started his own flower business in 1980 called Tradewinds Wholesale Florist. He ran the business as an owner for 20 years. 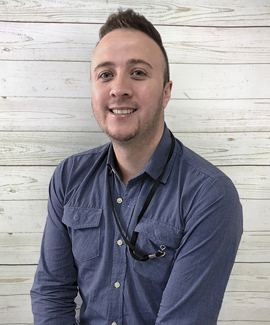 Jim joined Equiflor in January 2018 to broaden his floral career. Mr. Benson has been married to his wife Donna for 30 years and is the father to two beautiful daughters Allison, and Ashley. Heather Rogers has been a part of the Equiflor family for the past 15 years. She has worn many hats throughout, however as of November 2013 she transitioned into the sales department and became a Trusted Flower Consultant. She has been married to Hunter Rogers since October 2003. Ricardo Sangio has been a trusted flower consultant with Equiflor for over 11 years. He moved from Lima, Peru 19 years ago and graduated from the Florida International University (FIU). He’s been married with Ana for 12 years and have 3 beautiful children, Antonella, Lucciano and Fabrizio. Cara Gardner is a Trusted Flower Consultant and has been with Equiflor for over 20 years. She has been in the flower industry for 34 years. She has a Bachelor’s degree from the University of Georgia in Education and a Master’s Degree from Florida International University, also in Education. Jesus has been a trusted flower consultant with Equiflor for over a year, and has been in the flower industry for 20 years. He graduated with a Business Administration degree from the University of New Orleans and has two beautiful daughters, Liann and Lauren. Steven Steinberg has been a Trusted flower consultant with Equiflor for over 16 years. He graduated with an advertising degree from the University of Florida and currently resides in Beaumont, TX with his wife and son. Julian is a trusted flower consultant with Equiflor, and has been in the flower industry for over 13 years. He currently resides in Costa Rica, where he is completing his Bachelor’s Degree in Advertising Design from the University Hispanoamericana. He likes to spend his leisure time with his three nieces and his two-year-old nephew. Adina is a trusted flower consultant with Equiflor. 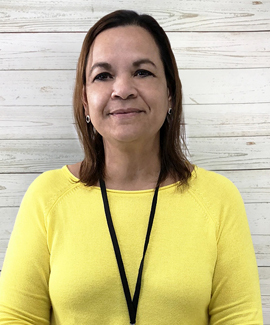 She graduated with a degree in Tourism Administration from the Autonomous University of Central America in Costa Rica, and also has a Bachelor’s Degree in Primary Education from the Latin University of Costa Rica. She currently resides in Costa Rica and has two sons, Mario and Sebastian. Rene is a trusted flower consultant with Equiflor. He has been in the flower industry since 1995 and ran his own flower wholesale shop from 2013 to 2018. He’s been happily married to Ana for 32 years and they have three children, Rene, Ann Marie, and Felix.